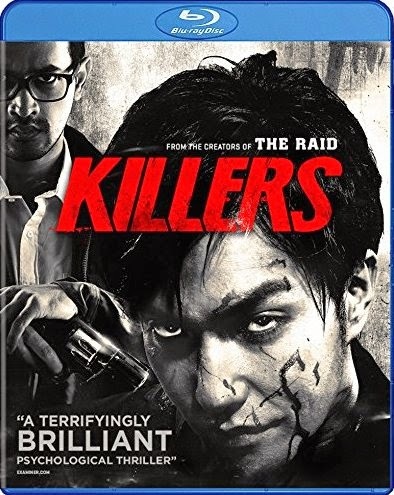 Plot: Back of Blu-ray A series of horrific murders have just gone viral, posted anonymously by the handsome and seductive Nomura (Kazuki Kitamura) with a taste for torture. Thousands of miles away, disgraced journalist Bayu (Oka Antarra) can t stop watching and in a reckless moment discovers he, too, can kill. One man in Tokyo. One in Jakarta. A serial killer and a vigilante. As the posts multiply and the body count rises, a bizarre and psychotic rivalry begins and the face-to-face showdown that s coming will paint the city in blood. This is a very slick, twisted feature film of pure brilliant psychological mastery in the reality of making the viewer feel uneasy and yet sadistically entertained.